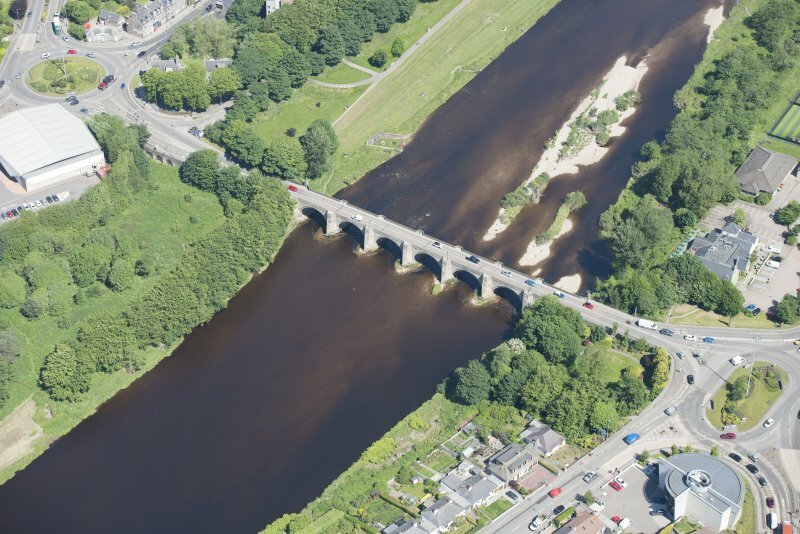 Aberdeen, Bridge of Dee. General view from South-East. 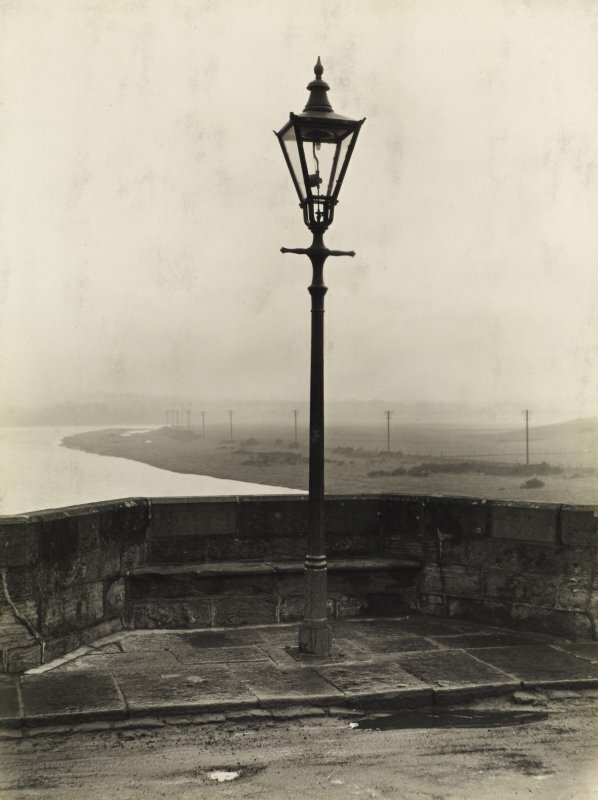 Aberdeen, Bridge of Dee. Photographic copy of Plan, North and South elevations. 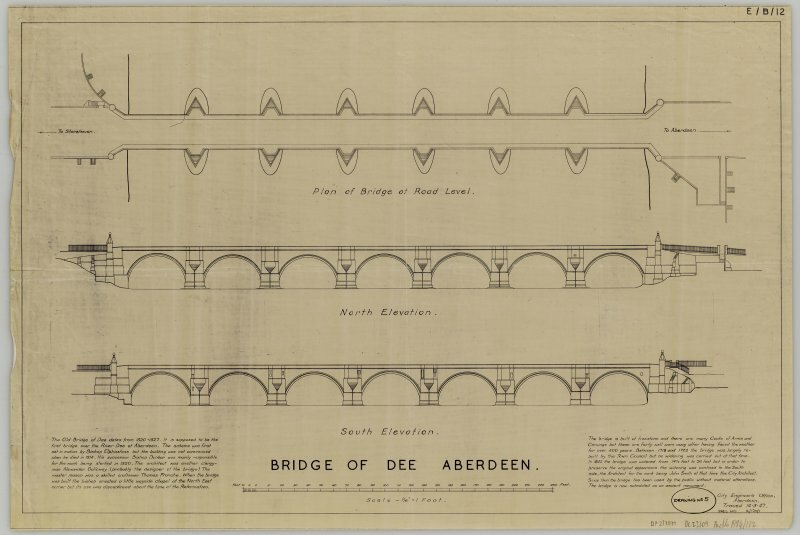 Insc: 'Bridge of Dee Aberdeen; Plan of Bridge at Road Level; North Elevation; South Elevation'. 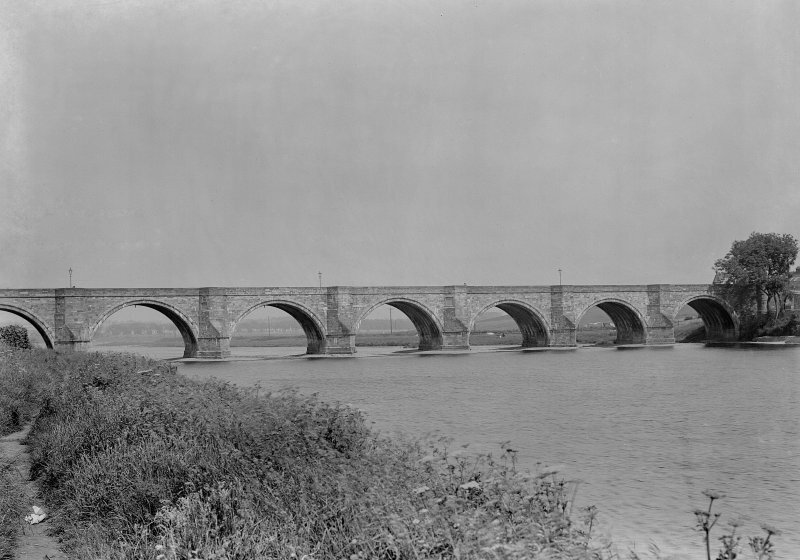 General view of bridge from north East. 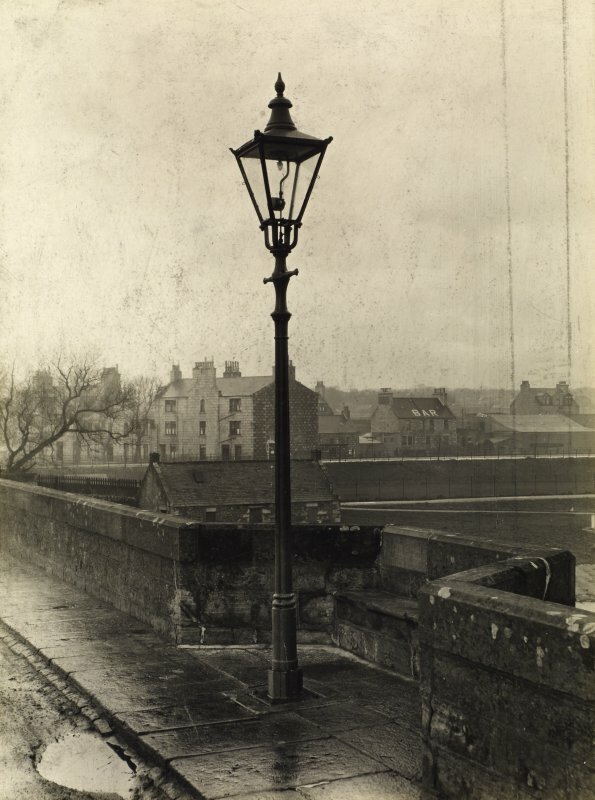 Aberdeen, Bridge of Dee. General view from South-West. 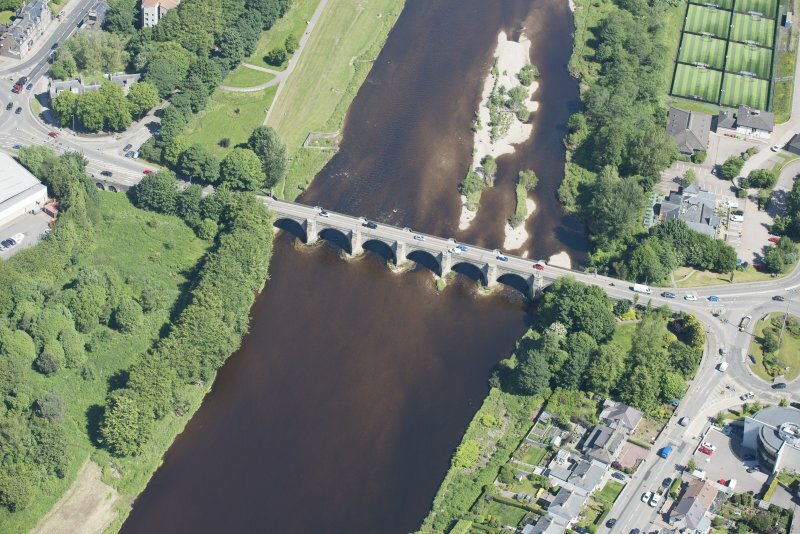 Oblique aerial view centred on the River Dee, Aberdeen, looking to the SW.
For possible predecessor bridge, see NJ90SW 41.
c. 1520-27. Built for Bishop Dunbar under the Cerical Master of Works "Maister Alexander Galloway, Persound of Kynkell" by Thomas Franche, Master mason, the son of a master mason John Franche, who died at Linlithgow in 1849. G.M.Fraser, "The Bridge of Dee." Its history; its structural features and its sculptures, 1913. G.M.Fraser, "The Aberdeen Bridges and their Story." "In Aberdeen Fifty years ago." Munro, "Old Lanmarks of Aberdeen." 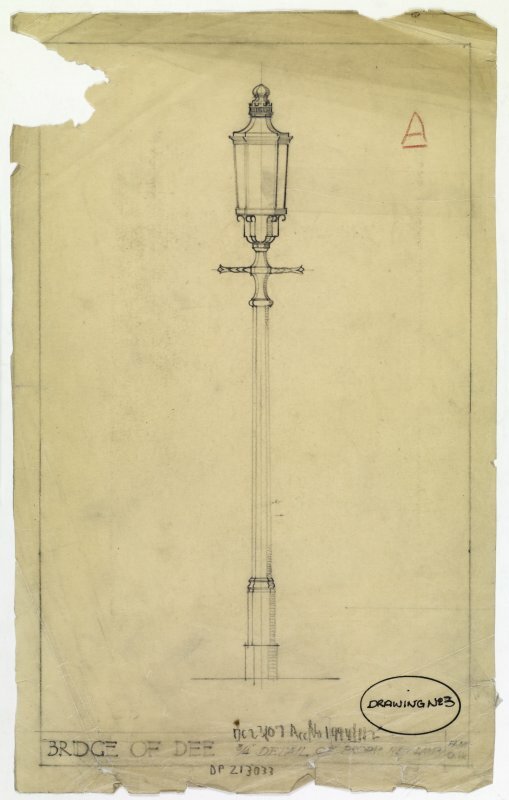 Measured Drawings, 18th and 19th centuries are in Town Monuments (1941 at Dunecht House). 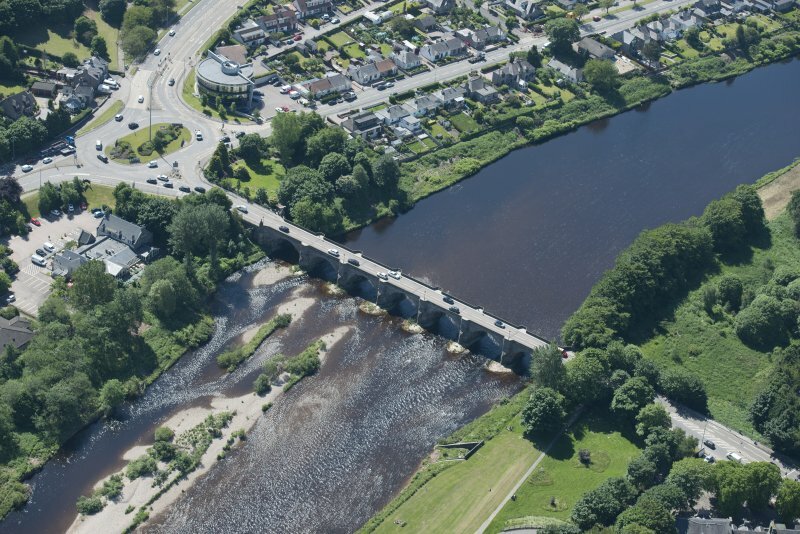 See G.M.Fraser "The Bridge of Dee". National Library of Scotland: Master Masons, I. Plan. 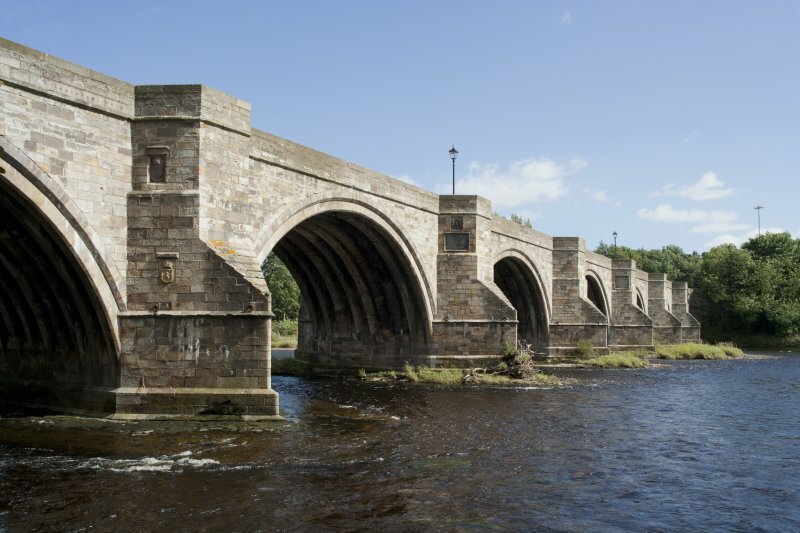 A bridge built of ashlar between 1500 and 1527 and consisting of seven semi-circular rib arches with refuge-cut-waters and bearing coats of arms and inscribed panels with the dates 1520 and 1525. It was repaired in 1718-19, 1721 and 1773 when its south port was demolished. 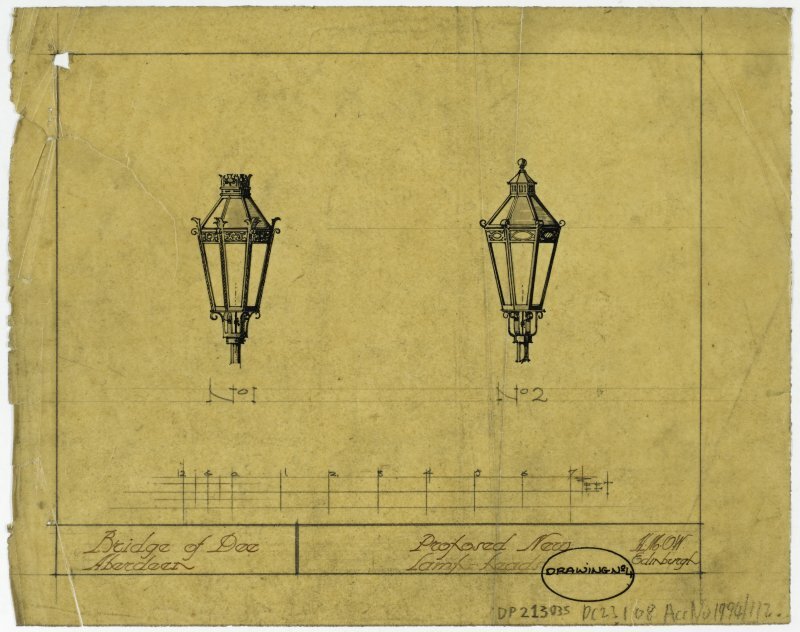 In 1840-1 it was widened on the west side, the original facings being replaced as far as possible. 'Lady's Chapel of the Bridge' stood near the north end. 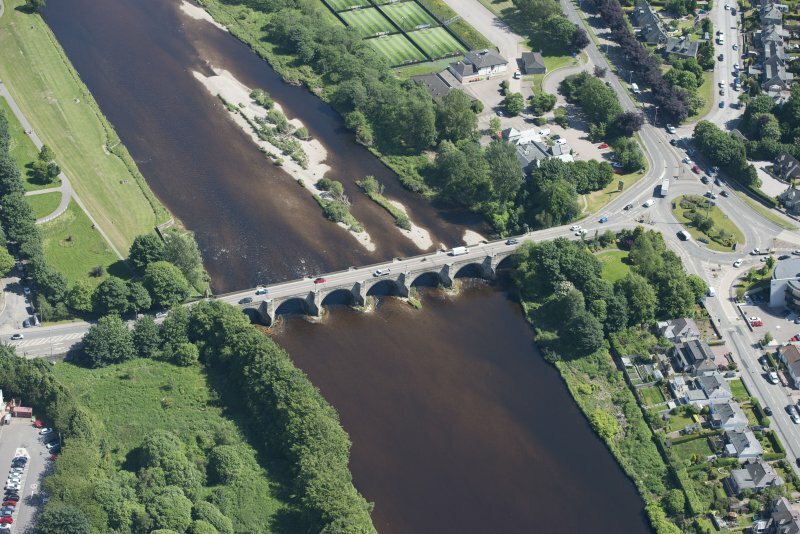 In 1639 it was the site of a skirmish in which Montrose and the Convenanters won the bridge from the royalists who held it. 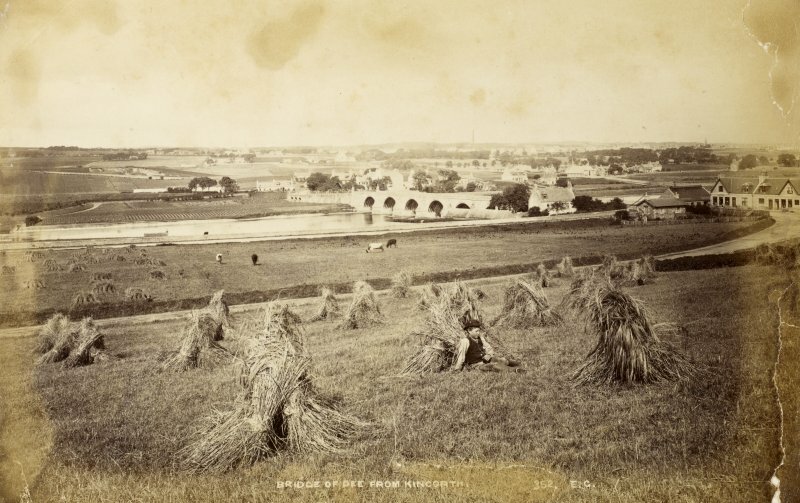 SDD List (Aberdeen); A Smith 1882; 1875. Visited by OS (JLD) 8 September 1952. (Location cited as NJ 929 036). 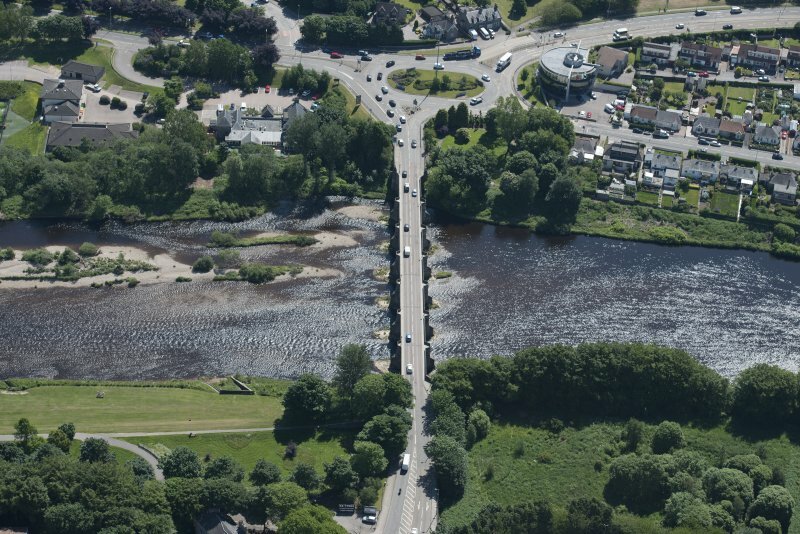 Bridge of Dee. Built c. 1500-27, widened by four ribs on west side 1841-2, engineer John Smith. 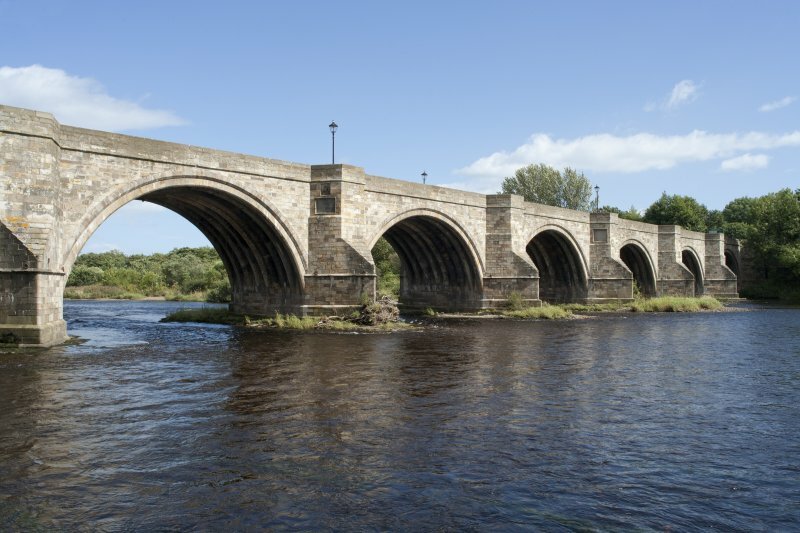 A 7-span bridge with dressed-stone ribbed arch rings, 9 ribs per arch. The arches are semicircular and there are triangular cutwaters extended up to form semihexagonal pedestrian refuges. 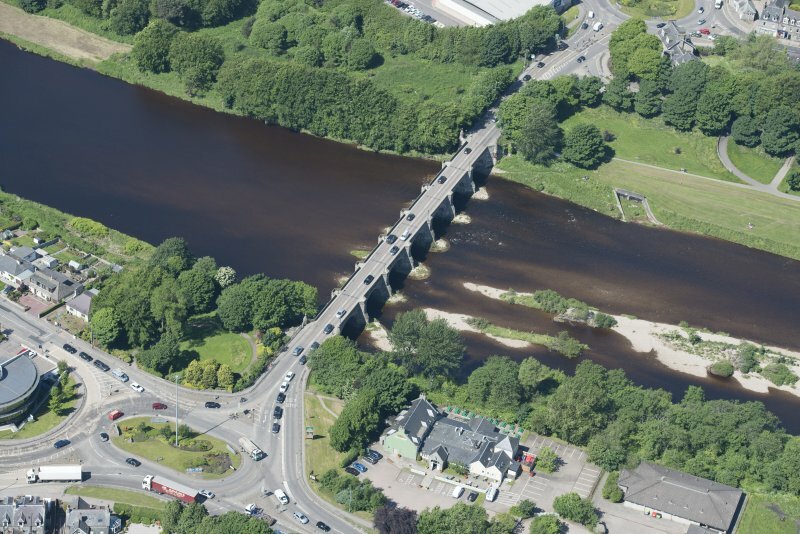 This bridge carries the A 947 public road across the River Dee between the parishes of Aberdeen (to the N) and Nigg (to the S), on the southern outskirts of Aberdeen. The location assigned to this record defines the midpoint of the structure. The available map evidence indicates that it extends from NJ c. 92845 03584 to NJ c. 92960 03529. 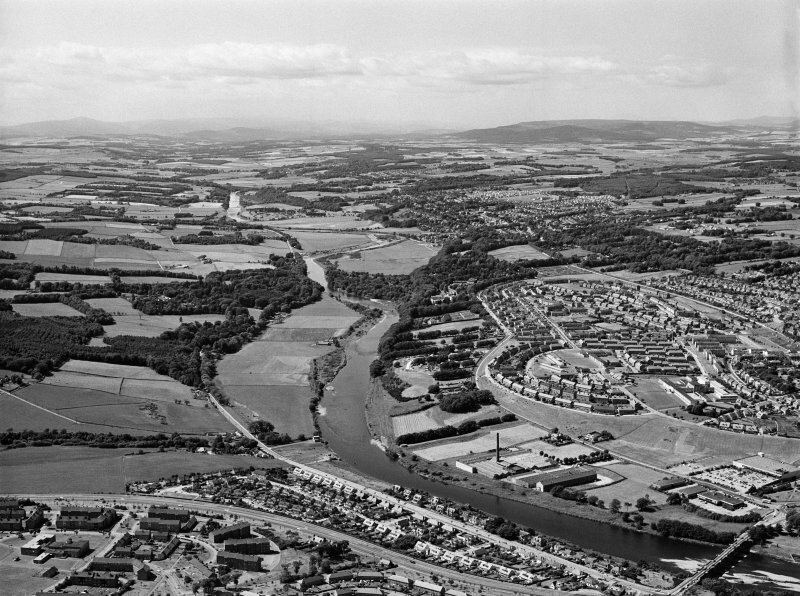 Information from RCAHMS (RJCM), 20 January 1997. [Former index no. 103]. Descheduled. Information from Historic Scotland: Certificate of Exclusion from Schedule dated 16 February 2009. Two shallow trenches (Tr-1 and Tr-2) were excavated parallel to each other on 26th April 2007 for construction of cairns to site interpretation panels. 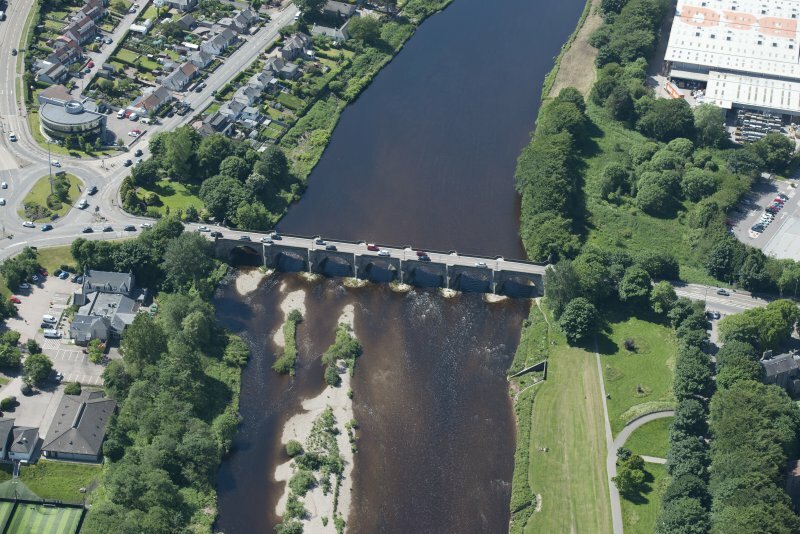 The work was watched by an archaeologist due to the proximity of the trenches to the medieval Bridge of Dee. The two trenches were 1.6 x 1.6m in size and dug to a depth of 0.12m. No archaeological features were evident in either trench. The thin layer of material removed underneath the turf comprised a homogeneous dark grey/brown sandy-silt containing some late 20th-century rubbish (broken clay water pipes and a door hinge). There was no evidence of a developed soil matrix which implies that the material in both trenches was a recently landscaped overburden. The depth achieved in these trenches did not disturb any archaeological remains. 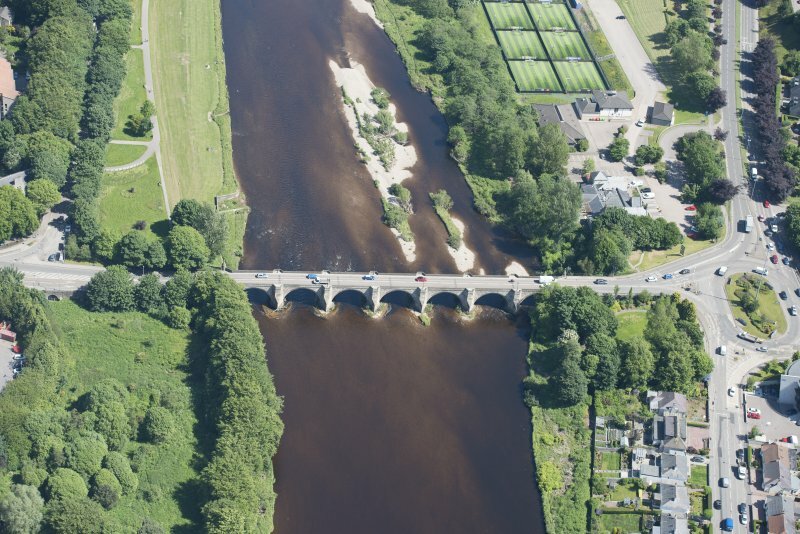 This bridge, an outstanding medieval structure built from 1520–27, is the oldest on Deeside, and for many centuries was the only river crossing between Aberdeen and the South. 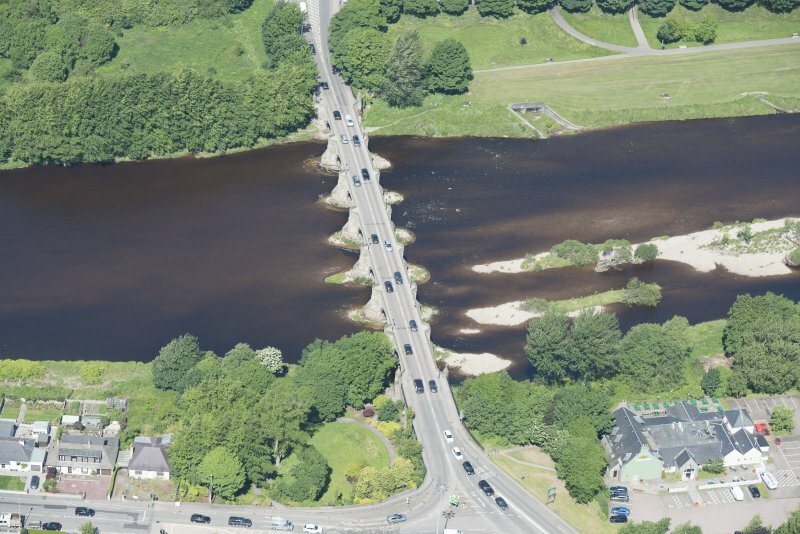 Unusually for Aberdeen it was constructed of freestone, but subsequent widening and repairs were executed in local granite. 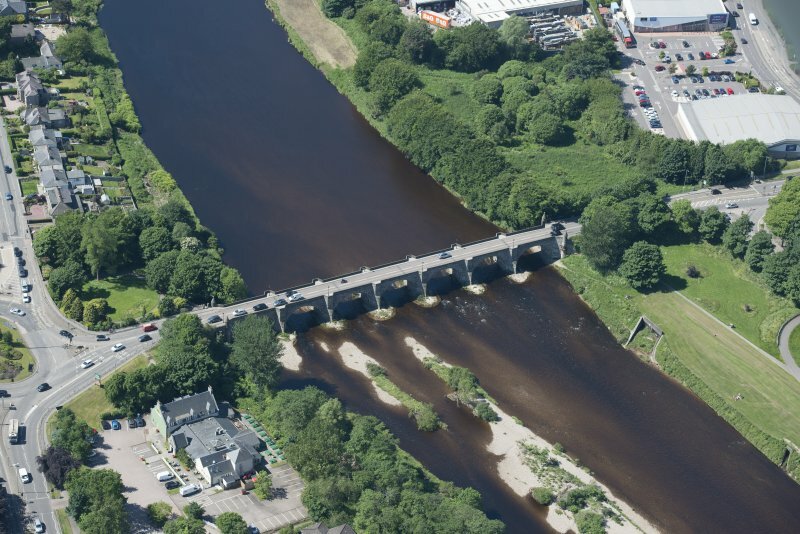 In 1841–42 the bridge was widened by 1112 ft to its present width of 26 ft between parapets. 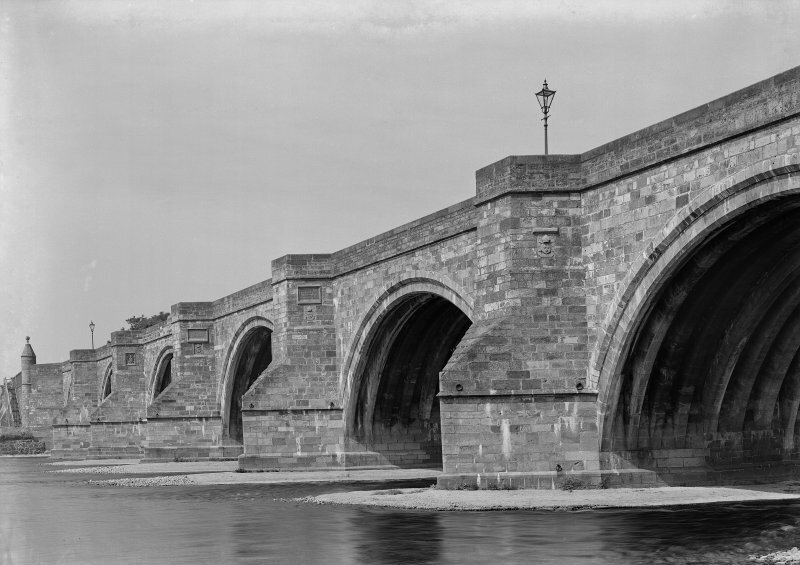 The whole of the west face of the bridge including turrets, abutment and wing walls, half octagons of piers and parapets, spandrels and archstones, was carefully dismantled and re-erected as far as practicable to its original form and place in the rebuilt face. At each arch the original outer rib was re-used and four additional ribs were added to support the widened deck. 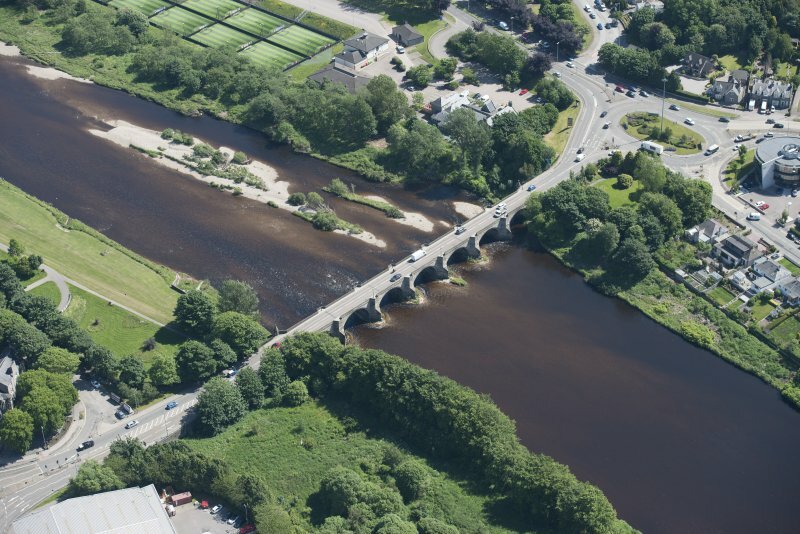 This project, designed and executed under the direction of John Smith, city architect, constituted an exemplary widening of a historic bridge. 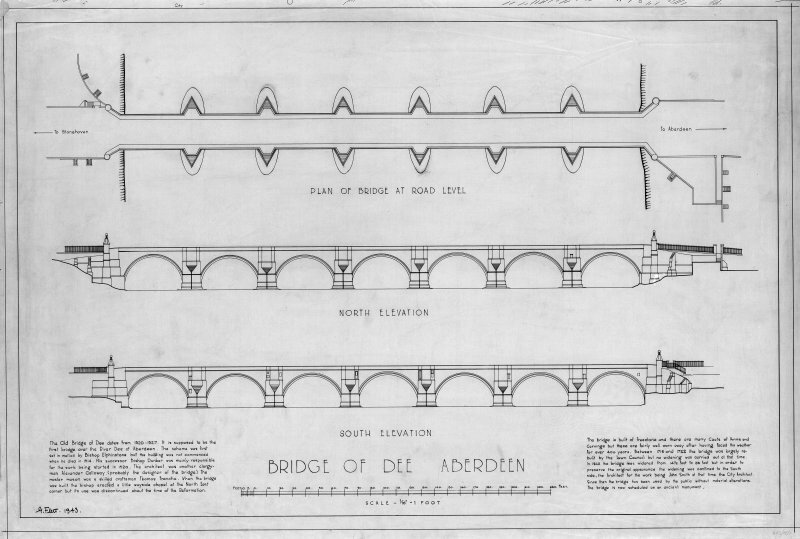 Smith’s drawing (see THE BRIDGE OF DEE. The Surveyor, Engineer and Architect for the Year 1842. Bell & Wood, 1st August 1842. 195–99.) and specification were published in 1842. The contractors were Alexander Macdonald and William Leslie.